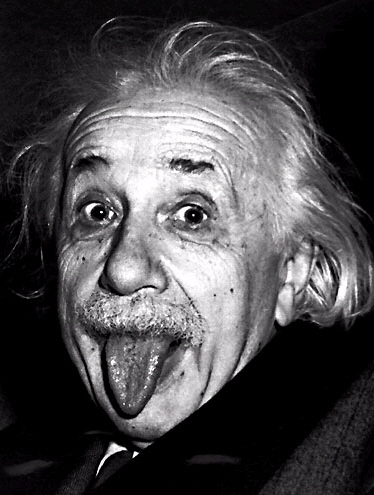 ‘Einstein’ Cat Has A VERY Long Tongue That Defies The Laws Of Physics. LOL. We all heard it when we were kids, but apparently no one told Melissa The Cat that if you stick your tongue out at someone, your face might freeze that way. Melissa, a Scottish Fold with the flat face and folded ears that are signature of the breed, has another unusual facial characteristic. Normally, an ever-present tongue is a sign of oral problems, but according to Melissa's human, her teeth are perfectly fine. And while it might be slightly unconventional, Melissa's tongue has earned her over 6,000 followers on Instagram, where she takes pictures wearing a variety of accessories. Melissa's tongue has also earned her the nickname of "Einstein Cat," and it's certainly not hard to see why. Next, here's some photos of 30 silly cats who got caught sticking their tongues out.